Prime Minister David Cameron has rejected a plea to meet with Birmingham pub bombings campaigners, telling them he is too busy. His snub comes just over a month after he told the House of Commons that those responsible for the massacre of 21 people in the city in 1974 had to be found. Encouraged by his words, Justice4the21 campaigners wrote to the Prime Minister to thank him and to ask to meet him. Now the Prime Minister has replied offering his sympathies, but nothing else. “Unfortunately due to the pressure of my diary I am unable to offer you a meeting on this occasion, but I do thank you for writing to me on this important issue,” he has told them. On Monday, Julie said: “We feel absolutely insulted, but not surprised. “All we wanted was to meet for a few moments and for our Prime Minister to look us in the eyes and tell us he really was with us on this. “But I suspect he can’t do that because it isn’t true. “It’s interesting to see that, among those he has copied into this letter is the Chief Constable of West Midlands Police Chris Sims whose force last year rejected any new inquiry into the bombings. “It just bears out what we know - that neither the Government, nor the police have any real intention to pursue those who attacked the Tavern in The Town and The Mulberry Bush. “Mr Cameron has had numerous meetings with the McCanns over Madeleine - and we don’t begrudge them that in any way. “How absolutely ridiculous, “ said Julie. “It’s almost laughable. “It just shows how out of touch he is. “The police review didn’t find any new evidence because they have admitted that they are not looking for any. They are waiting for someone, anyone, to hand deliver it to them. “Amongst other things the Prime Minister also talks about financial support. “Clearly he knows nothing about us at all really because, if he did, he would realise how particularly insulting that is. Within days of Mr Cameron’s House of Commons statement, the IRA’s former intelligence chief Kieran Conway confirmed for the first time that the terror attacks were in revenge for the death a week earlier of IRA bomber James McDaid. McDaid, a lieutenant in the Birmingham Brigade of the IRA, blew himself up while trying to attack Coventry Telephone Exchange. But Conway and other “furious” IRA officers felt the Birmingham attacks were immoral and said they had left him ashamed. Conway makes the admission in a book of memoirs. His name and details were passed on to West Midlands Police by the Birmingham Mail on Thursday, December 9. The force said it will review the book before deciding what action to take. The Mail has heard nothing from West Midlands Police on this issue since. *After Mr Cameron’s House of Commons statement the Birmingham Mail started to run the Cameron Clock, to see how long it took him to take action. One of the IRA’s most senior former officers has admitted for the first time that the terror group is responsible for the Birmingham pub bombings. Kieran Conway, who was head of the IRA’s intelligence-gathering department in the 1970s, broke a 40-year silence by the organisation to make the admission. He admitted he was “appalled and ashamed” because he claimed the bombing of civilians went against everything it stood for. He said the attacks on The Mulberry Bush and The Tavern in The Town had been in revenge for the death of IRA bomber James McDade. At first he feared that the timing of the attacks - with very little warning - had been deliberate because “tempers were high”. But he was later told that the IRA unit involved had tried to use “a succession of phone boxes” which were out of order, significantly delaying the bomb-warning call. Conway, who makes the admissions in his new memoir, also revealed that soon after the bombings the IRA’s England Operational Commander and his adjutant “made it back home” to Dublin for an urgent de-brief and to assess the impact of the disaster as far as the terrorists were concerned. Funding for the terrorists dried up almost overnight and the bombings, which left 21 dead and almost 200 injured, including many maimed for life, cost them hugely in the propaganda war. Now, Julie and Brian Hambleton, who lost their sister Maxine in the bombings and lead the city’s Justice4the21 campaign, called on West Midlands Police and David Cameron to take immediate action. Julie said: “I am expecting West Midlands Police Chief Constable Chris Sims and West Midlands Police Force to interview with Mr Conway with immediate effect. He continued: “The Birmingham bombs were another matter. 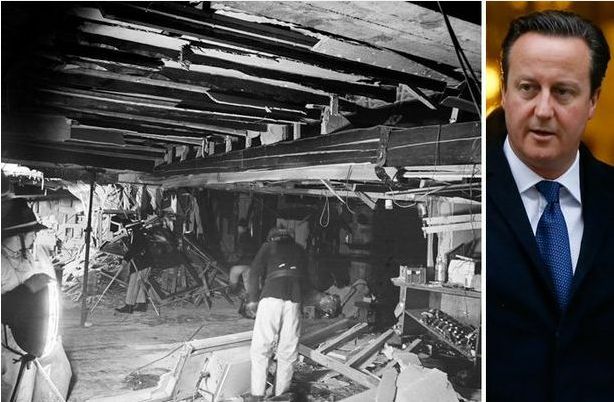 The bombings came after British police disrupted funeral arrangements for James McDade, a volunteer who had himself died in a premature explosion in England." He said he told two other senior IRA figures, Dave O’Connell and Kevin Mallon “exactly what I thought” when they met up. 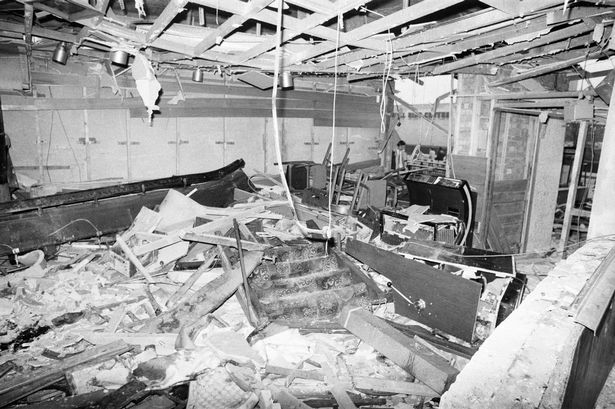 McDade, a lieutenant in the Birmingham Brigade of the IRA, blew himself up while trying to plant a bomb at Coventry Telephone exchange a week before the pub bombings. Neither The Mulberry Bush nor The Tavern in The Town had any military connection. Normal IRA procedure at the time for any attack on non-military targets was to give a 30-minute warning in order for full evacuations to take place. The Birmingham Mail received an ambiguous call at 8.11pm on November 21. The caller did not identify either pub, referring instead to The Rotunda, above The Mulberry Bush and the New Street Tax Office, which was above the underground Tavern in The Town. The first bomb destroyed The Mulberry Bush just six minutes later. The Tavern was destroyed at 8.27pm. Conway was not directly involved in the debrief with the England Operational Commander. He added that the secret ‘Feakle Talks’, held a couple of weeks after the bombings, were used by the IRA to try to start to repair its image after the Birmingham and the Guildford pub bombings. The talks, in Feakle, County Clare, involved senior IRA officials and Protestant clergymen and ended abruptly after a tip-off that Irish Special Branch officers were on their way to arrest the republicans. But they set in train a process that eventually led to a brief ceasefire that began on December 22, 1974. Conway had been recruited in 1970, having been radicalised during the 1968 student protest movements. He met with senior republicans, including future deputy first minister of Northern Ireland Martin McGuinness and Sinn Fein president Gerry Adams. Adams continues to deny that he was ever in the IRA. Conway was later jailed in Belfast’s notorious Crumlin Road prison and went on hunger strike to achieve political status. Although he left the IRA in 1975, he rejoined during the 1981 hunger strike, then finally broke with the republican movement for good in 1993 when the British and Irish governments announced the Downing Street Declaration. He claimed the declaration basically reinforced partition. “The IRA went on ceasefire, it decommissioned and did all the things they said they would never do, and disappeared into history,” he said. In his book he also claims that rogue Irish police officers colluded with the IRA throughout the Troubles and that members of the Dublin establishment, including several mainstream politicians, aided the Provisionals in their armed campaign.